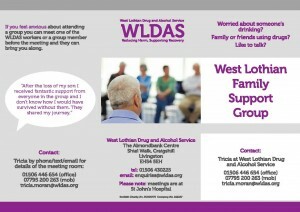 WLDAS | Information and Support - WLDAS | West Lothian Drug and Alcohol Service | drug advice, alcohol advice, cannabis advice, smoking advice | Drug and alcohol support, non-judgemental, effects of substances. During office hours – Monday to Friday 8:30am to 6:00pm; Saturday 9:00am to 12:30pm – we are happy to answer any queries or give advice on issues to do with drugs, alcohol or tobacco. If we can’t help – we will point you in the right direction. We aim to deal with all enquiries within 3 working days. 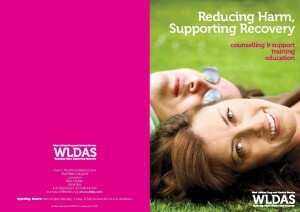 You can find details of our drop-in clinics held throughout West Lothian here. 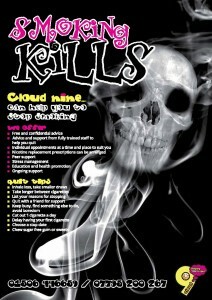 Our resource library holds an extensive range of leaflets on drugs, alcohol and tobacco related topics for professional workers, students and members of the public. Education and training exercises and materials for workers delivering education or training sessions for community groups, youth groups and professional workers are also available. 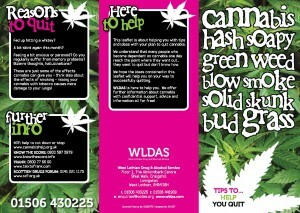 You can access our apps for tobacco and cannabis on our website by clicking here.